VATICAN CITY (CNS) — Being a Christian means battling the devil and striving for holiness each day, Pope Francis said. “Jesus calls us to change our lives, change paths, calls us to conversion,” he said in his homily at Mass in the Domus Sanctae Marthae Oct. 26. There is no such thing as Christians who are resting easy, “who do not fight,” he said. Conversion isn’t about superficial change, like applying makeup, the pope said; it requires a change within that has been brought about by the Holy Spirit. When Jesus tells his disciples in the day’s Gospel reading (Lk 12:49-53) that “I have come to set the earth on fire and how I wish it were already blazing,” he is speaking of a fire that requires that people change the way they think and feel, the pope said. 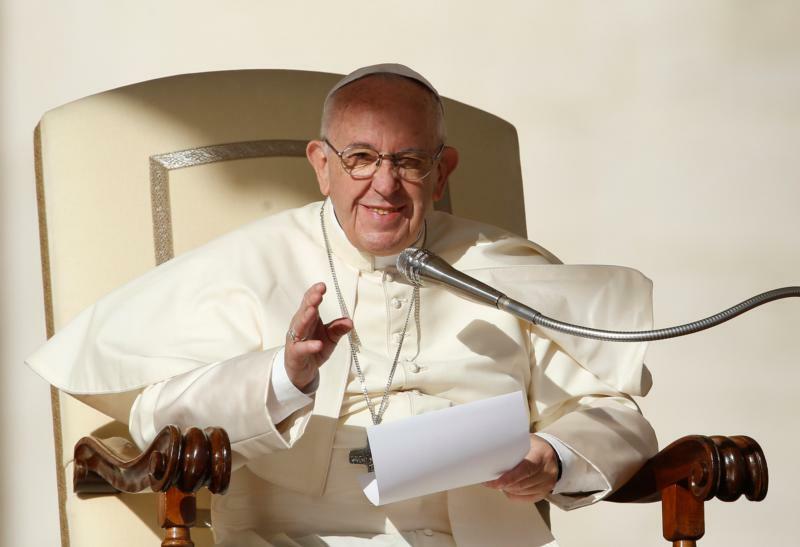 Those Christians who take it easy are “lukewarm” and their tranquility should not be confused with real inner peace that only the Holy Spirit can bring — “that peace for the soul that gives Christians strength,” the pope said.